William B. Eerdmans Publishing Company, 9780802827371, 411pp. With her stirring words and joyful delving into Romans passages, Rutledge leads readers to refocus their eyes and ears on Paul's valuable teachings. She unpacks major ideas and motifs in the epistle, including the cross and resurrection of Christ as the first event of the age to come, faith as the human response ignited by the fire of the Word and the Holy Spirit, and God's work of salvation as all-encompassing and incomparable. 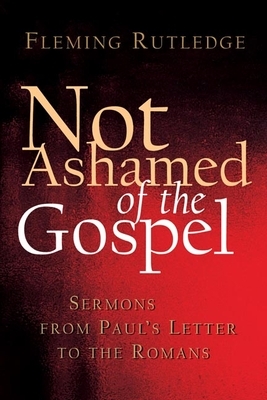 Her Not Ashamed of the Gospel will be a help to preachers and an encouragement to listeners.